Today marks the end of the fourth month of the Old School Kidlit Reading Challenge, which focused on Fantasy. 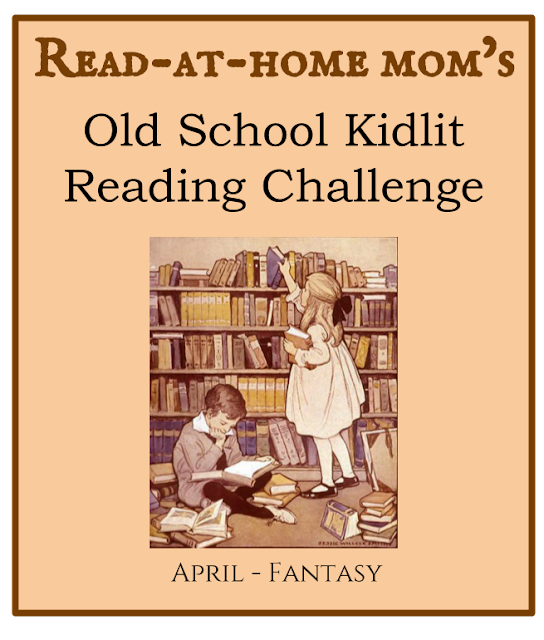 If you reviewed or otherwise posted about an "Old School" fantasy book from the decade of your birth or before, please leave a comment below with a link so other participants can see what you read. Thanks! I've never read a Moomin book! I should get one from the library on our next trip. I read The Box of Delights by John Masefield.